Press release, 8th December 2016. Galway Michelin-star restaurant Aniar was honoured in Paris this week with its inclusion in the prestigious international restaurants guide ‘La Liste’ where the world’s top 1,000 Outstanding Restaurants for 2017 was announced. La Liste is compiled by aggregating reviews of the world’s top restaurants by more than 300 guidebooks and trusted publications. These guidebooks and publications are graded by several thousand chefs who rank them from zero to ten according to trustworthiness. Online customer reviews are then factored in and given a 25% weighting to produce a final score. 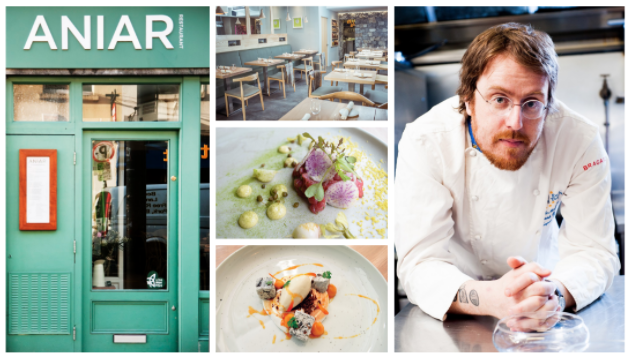 Aniar, which scored an 87.25 grade, was one of only eleven restaurants in Ireland and the only restaurant in Galway to make it onto the list for 2017. 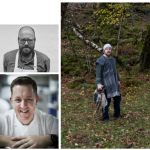 Two Northern Ireland restaurants are on the list. La Liste 2017’s announcement took place in the historic ballroom of the Quai d’Orsay Palace. The ceremony was attended by hundreds of international chefs, food critics and journalists. The core food philosophy at Aniar is the respectful use of sustainably produced, west of Ireland ingredients. Aniar has recently launched a new Inis Oírr menu which is on offer on Saturday afternoons for lunch and during the week until 7pm mid-week and 6.30pm on Friday and Saturday. The Inis Oírr menu offers diners 5 courses for €55.00. 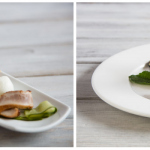 Aniar creates contemporary Irish dishes that showcase the unique terroir of the west of Ireland. Aniar is located at 53 Lower Dominick Street, Galway. For more information and reservations see www.aniarrestaurant.ie, or phone 091 535947.